this week i needed a card for a friend & co-worker who is moving away. she will still be apart of our everyday lives thank goodness but from a far. i wanted her to know how much she will be missed. 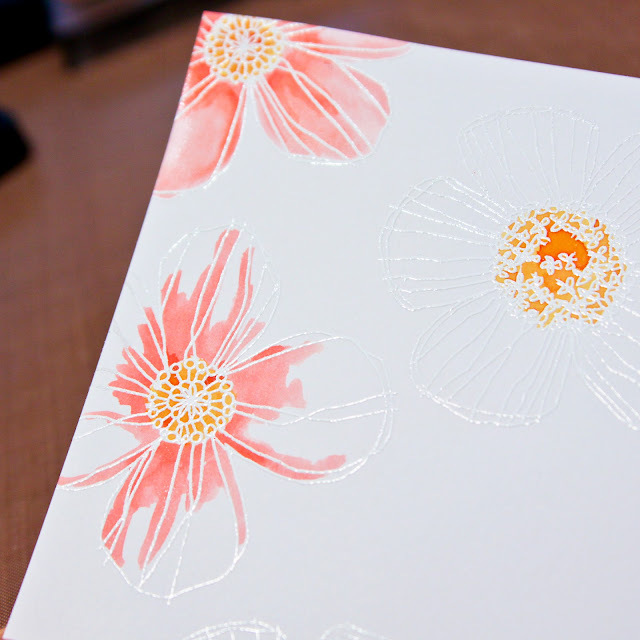 i stamped and embossed the flowers in white. then i used distress inks to watercolor. 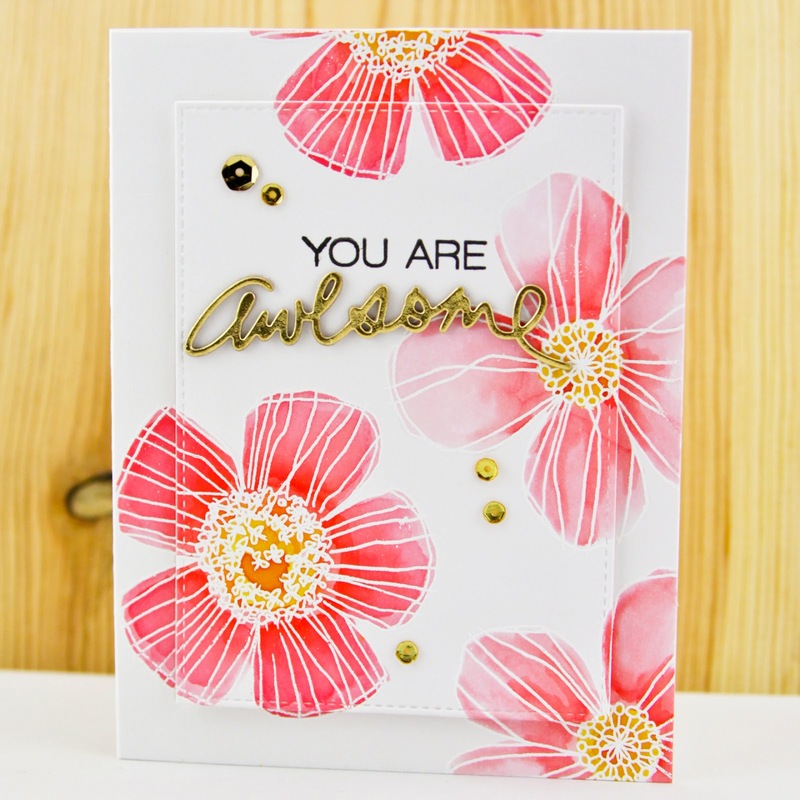 i die cut my panel with a stitched rectangle die to create a frame. i adhered the frame to my card front and then used foam adhesive to adhere the panel inside the frame. 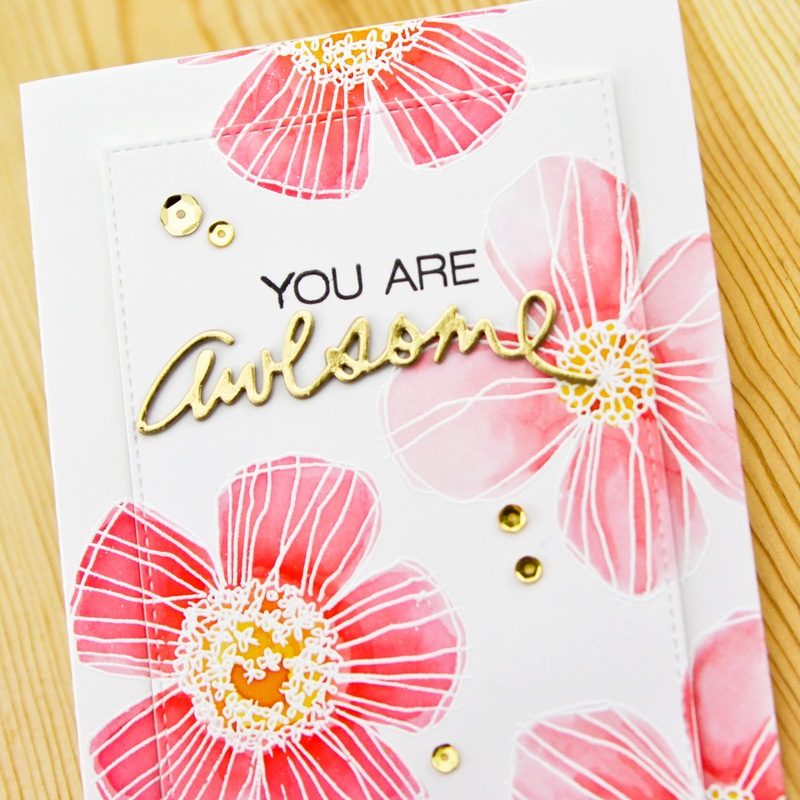 for my sentiments i used the essentials by ellen totally awesome stamp set and the positive word die set. i cut awesome 4 times, 3 desert storm and 1 gold foil, and then i layered them to make a dimensional word (love that technique).